Re: Why'd you choose your username? Yeah, not to say I studied Elfish or Klingon, which I haven't. And I don't go around dragon shouting. I mean, I go around dragon shouting. No I don't. 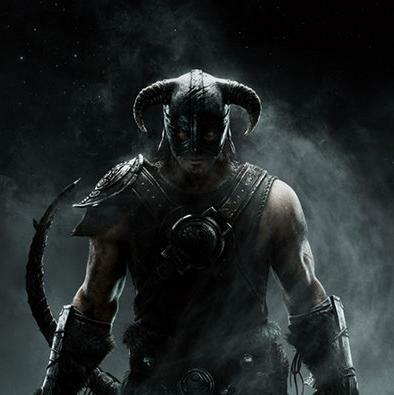 But there was some Bethesda developer who used Kinect Voice to control shouting xD So I am silently in my room playing Skyrim, suddenly: FUS RO DAH!. And the game actually does that. Must be funny. I think the Dovah language was based off of Latin, and English words with Latin roots or suffixes will tend to rhyme together. Therefore the Dovah language rhymes well enough. I think it was a neat language idea, but hardly a real language per se, such as Elfish or Klingon. At least it's better than the Al Bhed "language" from FFX that wasn't even a language but a substitution cipher of English. Don't get me wrong, I love FFX (as if that even needed to be said with the Spectacles battle system being what it is ) but that was just lazy. Kind of neat how they made it sound like a Slavic language, though. I worked at a bowling alley, Everyone called me Harry (As in Harry Potter, ever since school). It came to a managers attention that a lot of people had no idea I was actually called Dave. When he realised they call me Harry because of Harry Potter, he said "That is not cool enough"
So he "cooled" it up to Harry... Bo! This was taken on the old Forums and on Xbox live, So Harrybo21 was born and has been my username for everything for 6 years! We have those in the US, too. I actually figured your real name was Harry Bo. I always had an inkling it came from the Haribo candy (the Dutch and original German name has only one r ). Also, 21 is my lucky number. Always rather liked that that was part of your name. Also, 21 is my lucky number. Do you happen to play BlackJack a lot? Nope, it's just been a very common number in the family. We have Haribo here in the US as well, though it's relegated to dollar store or bodega fare. Well, actually, both my grandparents were born on the 21st of the same month... and they married on the 21st, too! That's where things kinda started. Hehe. That would make my lucky number 14: It is the day of my birth, of my sisters' birth, and the day my parents engaged. Also, it is the day PI day is on. I used to play a lot of Scrabble. So through the years my brain has kind of become hard-wired for anagrams. Miscreant is the only word in the english language that can be created using ALL of the letters from my first and last name. Also the reason that I state I am "The One and Only, Accept no imitations"
I have...no idea, was mixing up stuff and just came to Rukiri. I used "Rhuan" the first time I can remember signing up for a forum when I was 13 or 14 or something. It was actually an accidental misspelling of "Rhuarc" the name of a character from the Wheel of Time Series, but the name had stuck before I realised I'd spelt it wrongly.